Looking for a Used ELR in your area? CarGurus has 93 nationwide ELR listings starting at $17,979. Cadillac has a history of tossing skins lately. The Escalade is the grossest example of this deception, throwing the familiar coat of arms on a Yukon/Denali and claiming a new model with a bumped-up price tag. While the 2014 ELR isn’t that obvious a ruse, when it comes time to sign, you’re still going to be paying around $60K for a slightly upgraded Chevy Volt. That’s not necessarily a bad thing, as the Volt could certainly use some upgrades, both in package and performance. The ELR offers both. Based off the Converj concept that debuted at the 2009 Detroit Auto Show, the ELR is a tamer version of that same package, albeit with a souped-up version of the Volt’s powertrain. Whereas the Volt boasts combined output of 149 hp and 273 lb-ft of torque, a reprogrammed electric drive controller gets you 207 hp and 295 lb-ft of torque in the ELR. Of course, the ELR is a bigger vehicle and as such carries around an extra 300 pounds, but the advantage here is in using more of the 288-cell, 16.5kWh battery that sits behind the console. Recently, the Volt’s own version of this battery was reprogrammed to utilize an increased 60 percent of its capability, but since GM now has nearly 200 million miles of on-road experience to pull from, it's confident that battery can handle even more without any sacrifice in longevity or safety. Here, the ELR uses 70 percent of the battery’s potential, leading to a 0-60 time of less than 8 seconds, while dropping the all-electric range of the vehicle from the Volt’s 38 miles down just slightly to 35. Given that most trips fall well under those numbers, this isn’t much of a penalty, but the Volt’s shortcomings never orbited such stars. No, what the Volt has lacked is some style, some panache and any fun at all when on the road. Gasoline or electric, people still need to want to drive the car. Addressing that, GM has done some work on the ELR. The front suspension was donated by the Opel Astra GTC using HiPer struts, and a new crossbrace connects the lower control arms for better steering feel, something found only in the ELR. Rear suspension is Cruze inspired with a Watts link on a rear torsion beam, and brakes have been upgraded to 12.6 inches in front and 12.0 inches in the rear. More impressively, the stock Volt dampers have been swapped for ZF-sourced, electronically controlled variable units that measure and change rate every 2 milliseconds, with your choice of Tour and Sport settings that will additionally augment steering assist and throttle response. Another ELR touch, and something that should finally add some much-needed fun to the electric world, are paddles behind the steering wheel that allow for extra regenerative braking—think electric engine braking—that will not only recharge your batteries but allow for a more spirited entrance to hot corners without getting on the brakes. If you haven’t tried these out, they’re worth the test drive alone. All this is helped by a longer wheelbase on the ELR, plus a wider track, not to mention 20-inch wheels and a 0.305 drag coefficient. On the inside, you’re treated to stitched leather and genuine wood, chrome and carbon fibre, an 8-inch touchscreen display and LED accent lighting. While every change, evolution and adjustment seems ripe to attract new customers to electric cars, it’s hard to swallow the logic that the best way to do so is through Cadillac pricing. Of course, the same could be said of the Escalade—and when was the last time you failed to see one of those in your local parking lot, taking up three spaces? What's your take on the 2014 Cadillac ELR? wswen842 Way overpriced, just a Volt in wolfs colthing. Useless back seats. Large wheels an llow pprofile tires comprimise ride quailty. Paddle regen shifters? What a joke. Car is now 2 years old and still have not sold all of them. Marketvelocity One of the best Cadillacs ever produced. Because it was overpriced by double. 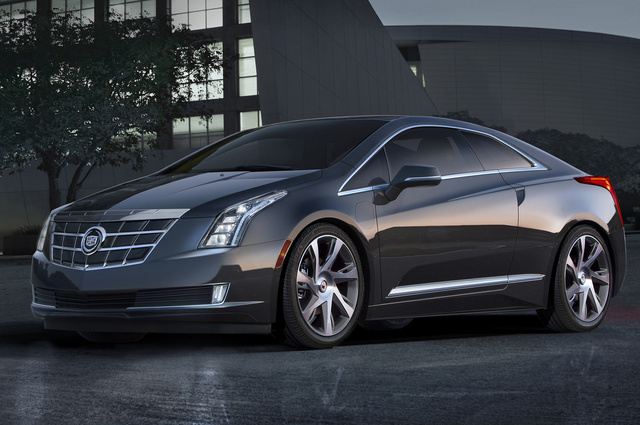 Watch Jay Leno's Youtube Review on the 2014 ELR and you Will be convinced. Totally re-engineered from the Volt's proven drive train. inside and outside look like a concept car! FAST 0-30 Mph.......pure torque. TheHorror A great car.... for $40k. 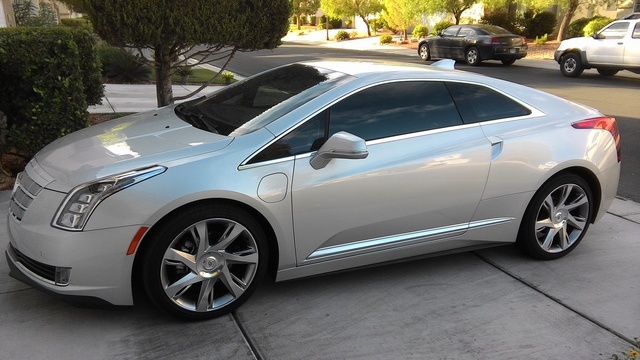 Have you driven a 2014 Cadillac ELR? Should I Buy The Car With Lower Millage Or Lower Price? How Do They Determine The Best/worst Deals? It doesn't seem to make sense to me why they would say a car with higher miles and a higer price is a better deal than the exact same yr/make/model with a lower price and lower miles. I don't get it.